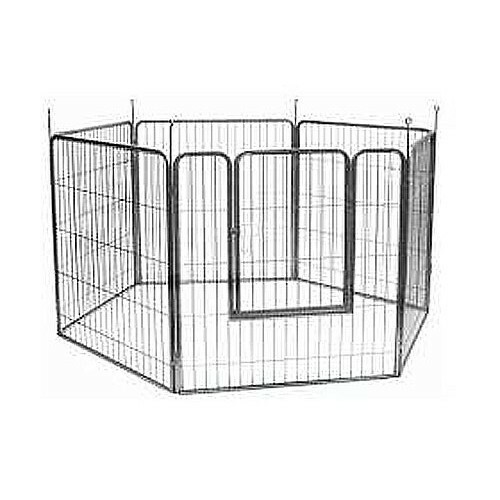 Exercise Pen Sizes: * Choose Options Small - 24" Medium - 30" Large - 36" Extra Large - 42"
An ideal play pen for keeping puppies and small dogs safe indoors (as well as outdoor, providing that it's not left outside overnight). Quick 30 second setup and it also connects to collapsible crates! 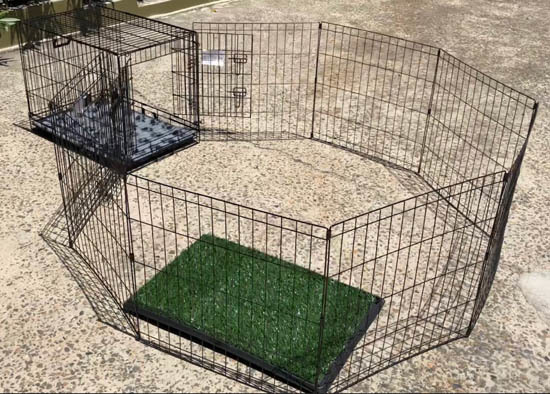 If you feel that you require a Heavy Duty Puppy Exercise Pen, or Fabric Pen or if you intend to connect the dog pen to a crate where you would need to order extra connecting clips, we can special order these in for you, just contact us at orders@k9pro.com.au for assistance. One of the first question we ask is whether it is for indoor or outdoor use. The outdoor playpens have been treated with a weather resistant coating and they usually can be pegged down into the ground. It's important to remember that outdoor dog pens can be used indoors or outdoors, but the indoor ones can only be used indoors. It's okay to leave indoor playpens out for a day or two and it's fine to get them wet, as long as they get to come back inside to dry properly. So the main question is whether you need them outside for more than a day. 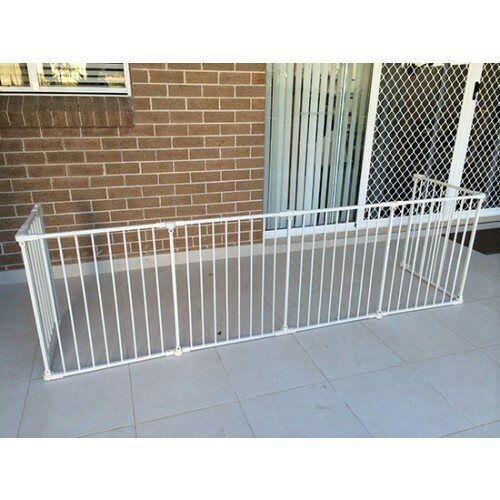 The following picture is a sample of an outdoor dog pen - it has a protective coating that allows it to be left outside permanently and it has poles that can be hammered into the ground. Some indoor exercise pens on the other hand, can be easier on the floor. For example, there are indoor play pens that are made out of canvas with a metal frame (see picture above), so they won't scratch your floors. 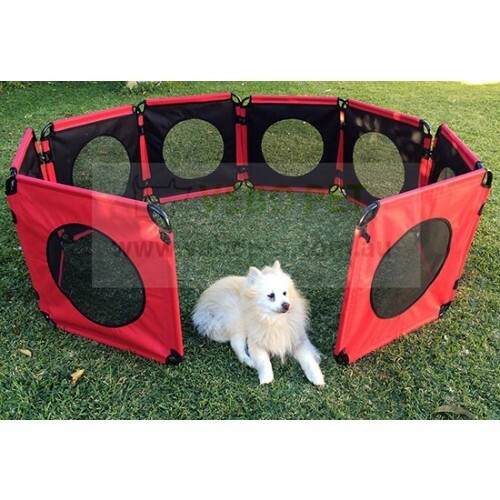 While most dog playpens are setup as a fully enclosed area, some people might actually use it as a divider, so the playpen does not close in on itself. When you intend to use the pen as a divider, you would need to get heavier and wider panels so they stand up better. You also stick rubber tape on the bottom of the play pen to stop them from sliding around on hard floor. All outdoor types that can be hammered into the ground will also work really wall as a divider. So you can set them up around a veggie patch or flower bed to keep the dogs out. 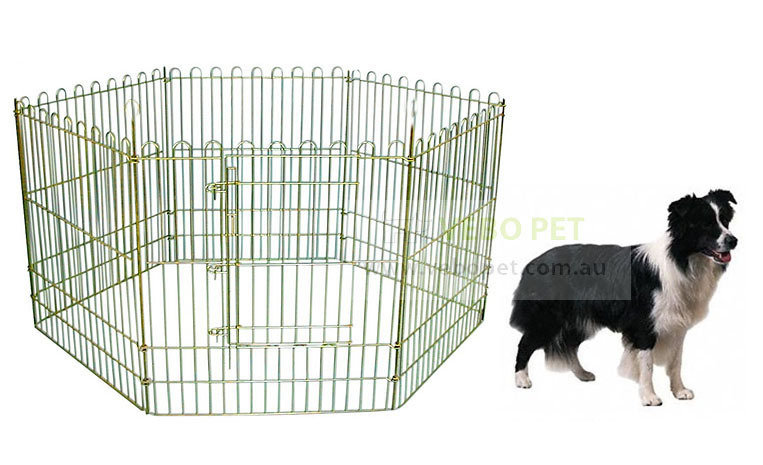 There are also dog pens that can be attached to a dog crate, which is particularly handy for puppies. Because if you have a bed inside the crate, naturally the puppy will sleep on the soft bed and all its business will be done outside in the play pen. 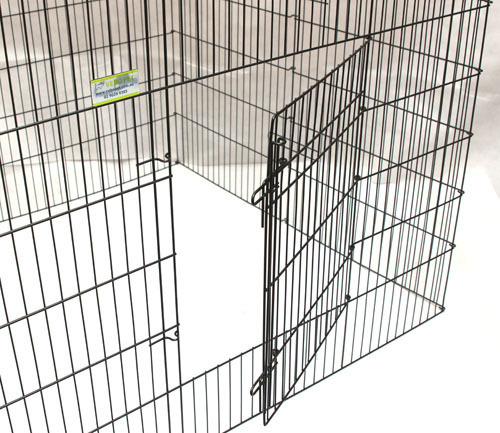 Most dog pens come with a door opening for dogs to go in and out, but some are hard for human because the door is just a hole in the panel, so you would either need to step over it or open up the playpen to walk in. For the shorter playpens (i.e. up to 60cm in height), it's possible to just step over, but anything taller than that it becomes almost impossible. Some playpens have open-top gates that allows human to go in and out. The entry is usually raised so it stops the dogs from rushing out when the door is opened. Most dog pens would allow you to add on more panels to increase the floor space, but there are some that cannot be expanded, like the one with a roof shown above.